Attend public fireworks displays and leave the lighting to the professionals. The best way to protect your family is to not use any fireworks at home. If you plan to use fireworks, make sure they are legal in your area. In Colorado you can use the general rule of thumb that anything that leaves the ground or explodes is illegal. 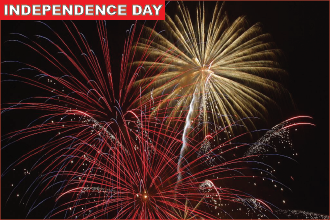 However, local jurisdictions can add additional restrictions including a ban on all fireworks. Check with your local city or county law enforcement agency. Sparklers can heat up to 1,200 degrees and are not safe for children to use. A safe alternative is to provide glow sticks for your children instead.